It might not feel like it, but we’re only a few weeks into winter. And with cooler temperatures still on the horizon, finding creative — and healthy — ways to warm up your body is a necessity. We asked experts to share their favorite beverages that not only heat your core but also benefit your health. Warm lavender tea has some wonderful calming properties. Feller tells SheKnows it may specifically help reduce anxiety and improve overall mood. 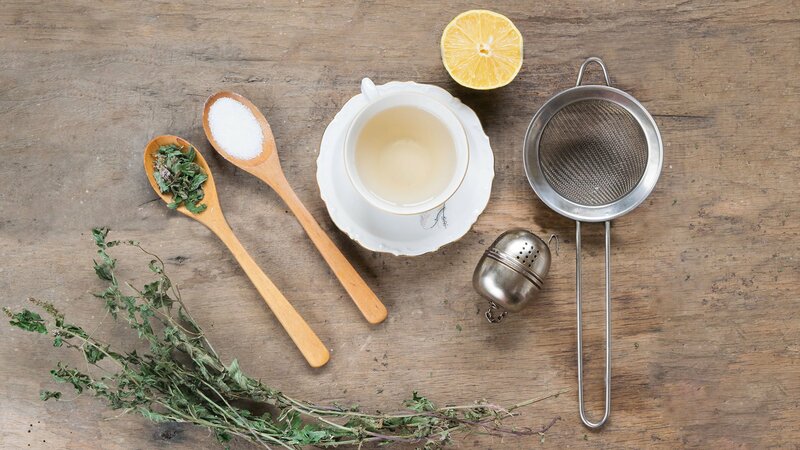 Lemon balm tea may be effective in helping to lower blood pressure. Feller says it’s also known for having a calming effect as well as improvement in circulation. Ginger tea is helpful for nausea, indigestion and upset stomach. Green tea has anti-inflammatory properties and hibiscus tea has antiviral properties, which Feller says, makes it a great drink to sip on if you have a cold. Registered dietitian Rachel Fine is a fan of warm milk because it is great for your bone health. “Calcium and vitamin D, which are found in milk, help to build strong, healthy bones and teeth, and the potassium allows maintenance of healthy blood pressure,” she tells SheKnows. While milk does have some sleep-promoting compounds, like melatonin and tryptophan, Fine says they’re present in such small amounts the effects of warm milk probably don’t include helping as a sleep aid. However, anecdotal reports show drinking warm milk can relax us, and relaxation can definitely help one’s sleep. You don’t have to drink your warm milk straight, though. Try it in another warm favorite, like a healthy pumpkin spice latte. Adding honey to your warm beverages can help soothe a sore throat, reduce a cough and help reduce cardiovascular and gastrointestinal disease. Matcha (a version of green tea) also give you extra health benefits, including mental clarity and improved mood, antimicrobial effects and high antioxidant properties. The National Honey Board says these recipes will warm you up and keep you healthy. Shaken honey matcha latte: Matcha is notorious for its calming and detoxifying qualities. Serve this healthy beverage cold, hot or frozen. Apple, pineapple and honey cider: Packed with simple, wholesome ingredients like fruits, spices and honey, this beverage will surely leave you feeling warm inside. HelloFresh also shares two healthy beverage recipes — a matcha latte and beetroot latte — that will make your taste buds sing. Beets are packed with vitamins and minerals. Plus, they may help lower blood pressure. So the next time you’re a little chilly and want to warm up with something with some added health benefits, consider trying one of these options.